🦃 Good Wednesday morning ... Best of luck with Getaway Day. It is possible that Mueller will subpoena Trump regarding his activities as president. But Rudy said he has reason to suspect he won’t: "I think that he would not win a legal battle if he did that, and I think it would consume months." If Mueller does, the president’s view is clear: He will refuse to cooperate. If Donald Trump were an "ordinary client," it would've taken "four, five, six hours" and two meetings to answer Mueller's questions, Giuliani told Axios' Jonathan Swan. But the process dragged out for almost a year. Swan asked Giuliani whether his personal interactions with the Mueller team ever got awkward given he's been trashing them, almost daily at times, in the press. Have they ever confronted him about his attacks on their character and motives? "Hasn't come up," Giuliani said. Jonathan Swan asked Trump lawyer Rudy Giuliani whether he thinks he knows what the Trump Organization's chief financial officer Allen Weisselberg gave federal prosecutors in his immunity deal with the U.S. attorney for the Southern District of New York. "Yes. And I'm not worried about it," Giuliani said. How could he be so sure? Has he spoken to Weisselberg? Giuliani later conceded he hadn't spoken to Weisselberg. "I guess I don't know for sure," he said. "Somebody could've misled me, something new could've come up. Maybe say 'reasonably confident'. That would be a better way of phrasing it." 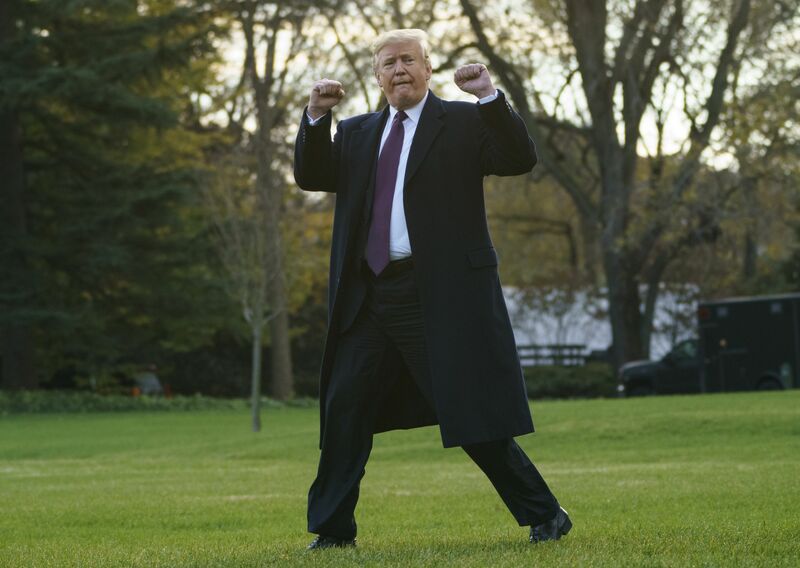 "President Trump told the White House counsel in the spring that he wanted to order the Justice Department to prosecute two of his political adversaries: ... Hillary Clinton, and ... James B. Comey," the N.Y. Times' Michael Schmidt and Maggie Haberman report. Then-White House Counsel Don McGahn "had White House lawyers write a memo for Mr. Trump warning that if he asked law enforcement to investigate his rivals, he could face a range of consequences, including possible impeachment." 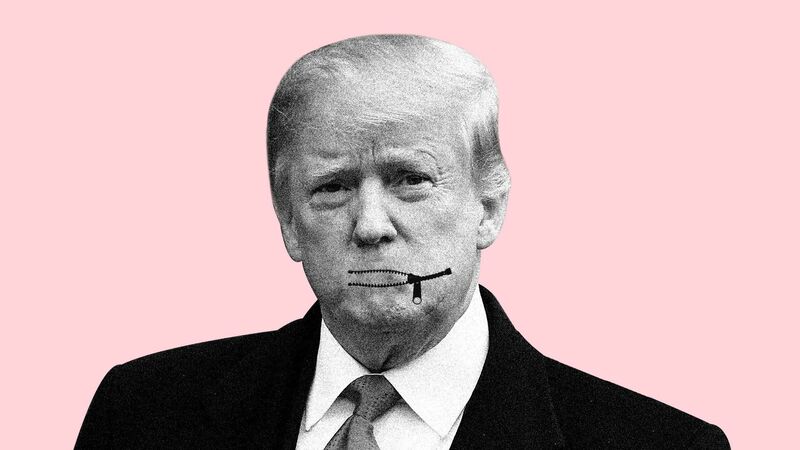 Why it matters: "Perhaps more than any president since Richard M. Nixon, Mr. Trump has been accused of trying to exploit his authority over law enforcement." "I think we are going to have a lot of elderly people who were wiped off the face of the earth because they were sleeping." Driverless vehicles are expected to save lives — but they're unlikely to prevent as many deaths as we've been led to believe, Axios autonomous vehicles expert Joann Muller writes. Why it matters: Some automakers and politicians have suggested that autonomous vehicles will sharply reduce deaths on the road, if not eliminate them. The reality is that uneven deployment and technological limits mean AVs may save far fewer lives than the hype implies. GM even holds out the promise of a "zero crashes" goal. That oft-quoted 94% causation rate is derived from a 2008 government study that was never intended to be applied to autonomous vehicles. Driver miscalculations and misbehavior do, indeed, cause most crashes. But three leading causes of fatalities — drunk-driving, not wearing a seat belt and speeding — won't necessarily go away with the removal of the driver. And AVs aren't yet better than humans at perceiving their environment. Factoring all of that in, Philip Koopman, a professor at Carnegie Mellon University and founder of Edge Case Research, estimates the deaths prevented by AVs would be around 10,000 a year — only about one-fourth of the current total. Sign up free for Joann's twice weekly autonomous vehicles newsletter here. WashPost lead headline ... "Trump backs prince in Khashoggi case: TAKES AUTOCRAT’S WORD OVER CIA'S." "In 633 words, punctuated by eight exclamation points and written in an impolitic style that sounded like Mr. Trump’s off-the-cuff observations, the statement was a stark distillation of the Trump worldview: remorselessly transactional, heedless of the facts, determined to put America’s interests first, and founded on a theory of moral equivalence." "In 1979, William Safire, the New York Times columnist and former presidential speechwriter, offered readers of this newspaper some sage advice: 'Don’t overuse exclamation marks!!!'" "An estimated 85,000 children under age 5 may have died of hunger and disease since the outbreak of Yemen's civil war in 2015," AP reports. 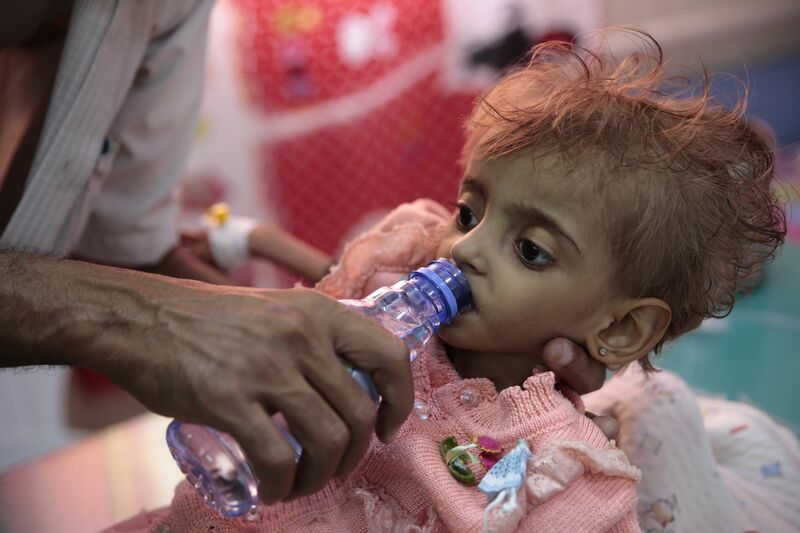 "Save the Children said the 'conservative' estimate is based on average mortality rates for Severe Acute Malnutrition, which the U.N. says has afflicted more than 1.3 million children since a Saudi-led coalition went to war with Yemen's Houthi rebels in March 2015." Tamer Kirolos, Save the Children's Yemen director, says: "For every child killed by bombs and bullets, dozens are starving to death and it's entirely preventable. ... [C]hildren who die in this way suffer immensely." 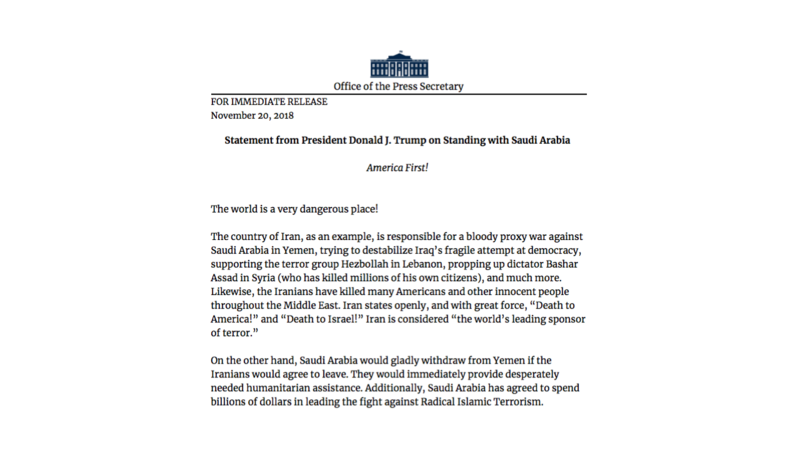 "The war and a Saudi-led blockade have created the world's worst humanitarian crisis, with more than 8 million people at risk of starvation." 8. For Wall Street, "worst day of an awful year"
Headline of the day ... N.Y. Times, after all of 2018's market gains were erased: "The Economy Is Purring, but Stocks Are Growling." Bloomberg's lead: "One of the toughest years for financial markets in half a century got appreciably worse Tuesday, with simmering weakness across assets boiling over to leave investors with virtually nowhere to hide." "What started as a selloff in shares of highflying technology companies bled into other corners of the financial markets, as investors drove down prices for everything from shares of retailers and energy companies to oil and bitcoin." Why it matters: "The latest bout of selling left investors grappling anew with concerns that the nearly 10-year bull market could be running out of steam, even as ongoing growth in U.S. jobs, manufacturing, and corporate earnings signal to many that a recession isn’t imminent." 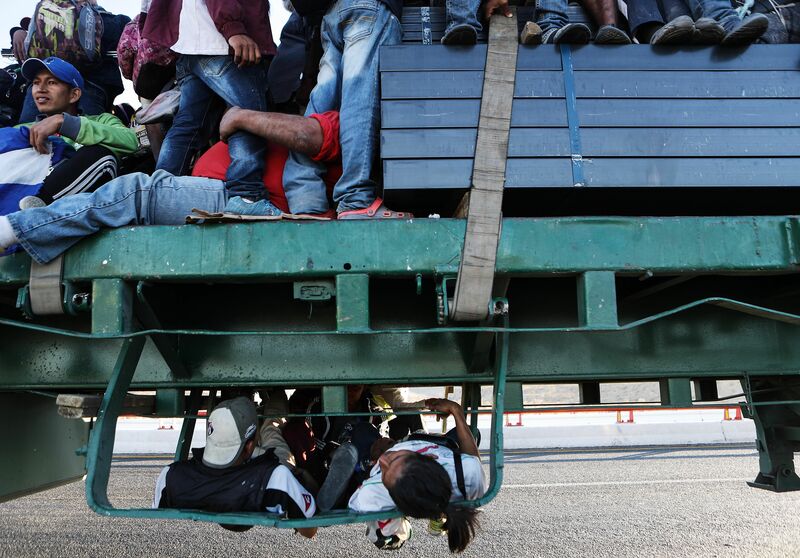 Migrants in the caravan gather on a truck near Mexicali, Mexico, yesterday while making their way to Tijuana. "One of the nation’s newest side hustles is line sitting, and the concept is genius in its simplicity. People hire professionals to wait in line for them — for Broadway tickets, iPhone drops, hard-to-score restaurant reservations — and then switch spots once the sitter reaches the front." "The gig requires a lot of free time and patience, so it’s perfect for students and retirees." This is a D.C. tradition: "The Supreme Court website says security starts admitting people to oral argument sessions at 9:30 a.m., but 'visitors may begin lining up on the Front Plaza as early as they feel comfortable' — which sometimes means four days in advance."